Have you ever gone on a short-term mission trip? During these trips there is a quick window of opportunity that you grab and encourage people with the gospel of Jesus Christ knowing that you will be gone in a few days or weeks. Each day has focus and the minutes count. In bringing your children up in the discipline and instruction of the Lord is to approach each day like a short-term mission trip. You need to see yourself as a missionary whose goal is that your children will one day become your brother or sister in Christ. The greatest wisdom I can give my children is not how to be successful in life, but is the wisdom of the cross that gives eternal life. 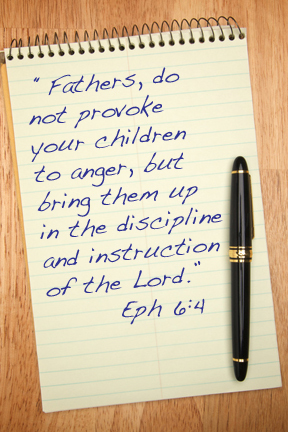 Fathers, may your children know such love and glory through your teaching and example.